This is the highest award from over 20,000 distributors in a global organization that represents a $20 billion industry in the US alone. The top honor, selected from thousands of competing new products, is given to the best new product of the year as voted by the distributors that sell the products. 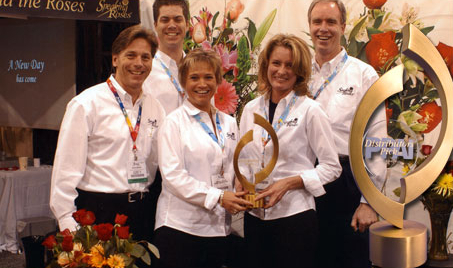 Speaking Roses was a finalist in one of horticulture's most important and prestigious show of the world. 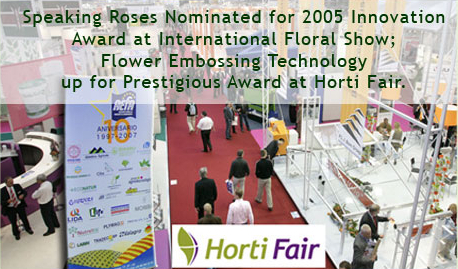 Fair judges narrowed the field of more than 600 contestants for 2005 award to eight finalists in the technical section.